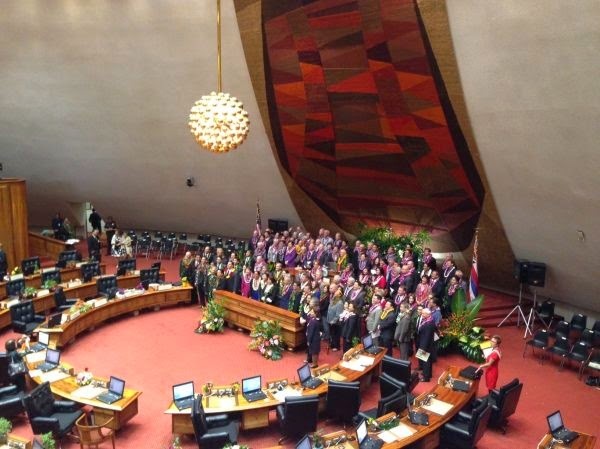 It has been an honor to serve you and the people of Maui County alongside the members of the Maui delegation. I thank you for the opportunity and responsibility you have entrusted me with over these past many years. Aloha and Mahalo nui loa. With Joe leading the House of Representatives his primary legislative agenda will be topped by the pressing need to fund the Rail Project, Oahu’s solution to ever increasing traffic gridlock. Joe Souki supports plans to make the half-percent excise tax surcharge for the rail project permanent to help finance construction of the line, but also said he wants to reduce the surcharge. To make up the difference, Joe believes the city should help pay for the construction from its own treasury. However, Joe also supports reducing the 10 percent administrative fee the state charges the city for collecting the excise surcharge to 5 percent. “It does come at a high cost, but make no mistake, rail is the key to the future of Oahu,” he told the Star Advertiser, speaking only for himself because his fellow Democrats have not yet taken a formal position on the rail excise tax. Maui non-profits are receiving $4.4 million towards helping those unable to afford the simplest rental. 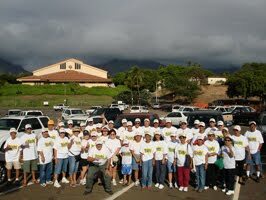 The funding will help Maui cope with homelessness by assisting those with minimal incomes get into living spaces. The process of moving people off the street into housing stabilizes peoples’ lives, allowing them to learn skills that earn sufficient income to become self-sustaining. Housing in Hawaii needs innovation. By 2025 the state will be short nearly 65,000 housing units and, without creating more affordable housing, many local families will be priced out of their communities. Hawaii’s Millennials in particular need to be empowered with jobs and opportunities for inexpensive housing as they are Hawaii’s citizen workforce of the future. Former HC+S employees received an extension of unemployment benefits. Efforts are underway to find new jobs for those displaced workers. A+B innovates new agriculture opportunities taking advantage of Maui’s climate and available water, more jobs will again become available in the ag sector. Advances in online technology can transform the penal system and help Hawaii overcome the serious problem of overcrowded jails. Joe believes prison overcrowding can be relieved by allowing non-violent inmates and those convicted of minor offenses to be released while being monitored electronically. In opening remarks, Joe also urged his colleagues to approve a “death with dignity” measure. He promised to introduce his own bill for what he describes as “compassionate choices.” The bill would provide a way to provide legal medical aid in dying for mentally sound people who are terminally ill.
Joseph M. Souki is currently Speaker of the House. 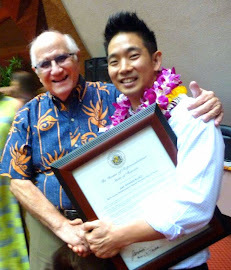 Rep. Souki has served in the Hawaii State Legislature since 1982. He represents the 8th District that includes Wailuku, Kahului, Waihe‘e, Waiehu, Pu’uohala, Kahakuloa and Waikapu. 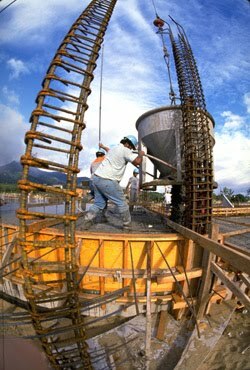 Maui County will see funding for various capital improvement projects, including nearly $38 million for more work on the new Kihei high school, $38 million for Kahului Harbor improvements and $29 million for expansion of Hana Highway in Kahului. The price tags for Maui projects are among the larger capital improvement projects approved by the state Legislature this session. 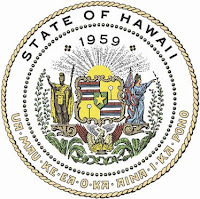 In the supplemental state budget for next fiscal year, which begins July 1, Maui County will receive more than $200 million from the state – money for schools, highways and affordable housing. The lawmaking session ended Thursday. 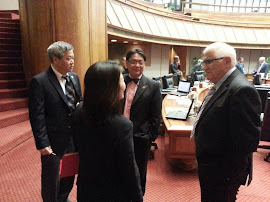 "I think the Maui delegation is going to come back pretty well off," said Central Maui Sen. Gil Keith-Agaran of this year's session. "We wanted to address a number of issues regarding homelessness, affordable housing and agriculture. I think we did do that." Keith-Agaran said $12 million will go toward helping the homeless statewide. Included in the funding will be standards for housing the homeless to ensure money is used efficiently, he said. Affordable housing funding will help developers offset their costs, he added. While much attention was focused on a bill to allow Alexander and Baldwin to continue to divert water from East Maui under current lease terms, there was other legislation to help taro farmers as well as the state do work on streams on state property in East Maui. 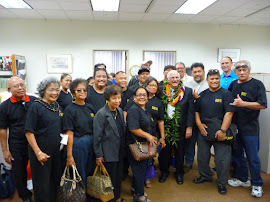 Legislators also were keen to help employees facing lost jobs with the closures of Hawaiian Commercial & Sugar Co. and the Makena Beach & Golf Resort. Bills approved this session call for job training and support services for workers unemployed or dislocated by the closures. 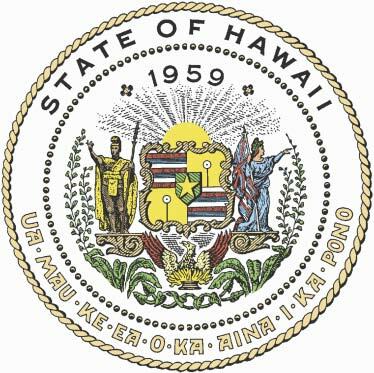 Another bill creates a temporary program limited to Maui County to extend jobless benefits to unemployed workers. 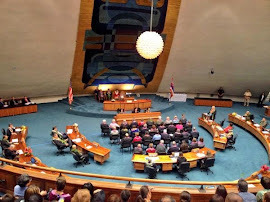 Keith-Agaran said lawmakers also passed is a bill to help Hawaii Health System Corp. employees at Maui Memorial Medical Center, Kula Hospital and Lanai Community Hospital who are nearing retirement. The bill will enable them to "bridge that gap" and receive retirement benefits even as their jobs as state employees will end with the takeover of operations by Kaiser on July 1. 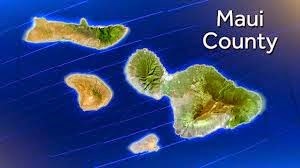 Maui County will receive around $23 million from state hotel tax revenues, the same amount it is receiving this current fiscal year, despite county officials lobbying for more. Saving Lipoa Point and Honolua Bay for future generations. 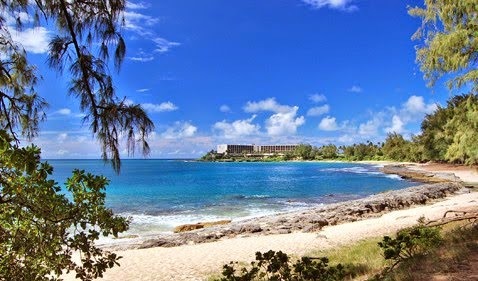 Turtle Bay, O'ahu: The state was able to secure 655 acres. Speaker Souki and Military & International Affairs Chair K. Mark Takai meet with Mr. V.C. 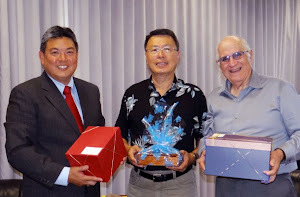 Chu of the Taipei Economic and Cultural Office (left), and Mr. Toyoei Shigeeda, Consul General of Japan in Honolulu (right). 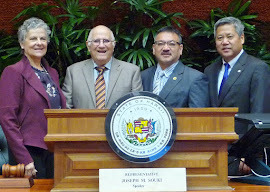 State House Representative Joe Souki and U.S. 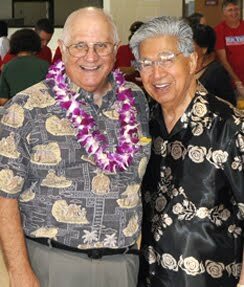 Senator Daniel Akaka worked to keep Hawaii's future bright. 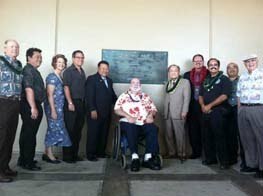 Unveiling the original plaque that marked the initial entrance of the 1952 Maui Memorial Hospital, re-located to the current entrance are: Maui Regional Board Chair Clay Sutherland, Representative Kyle Yamashita, Senator Roz Baker, Senator Kalani English, Mayor Alan Arakawa, Council member Bob Carroll, US Senator Daniel K. Inouye, Council Member Mike Victorino, Maui Veterans Council Paul Laub, Representative Gil Keith-Agaran & House Speaker Emeritus Joe Souki at the rededication of the plaque which honors the sacrifices of our War Veterans. 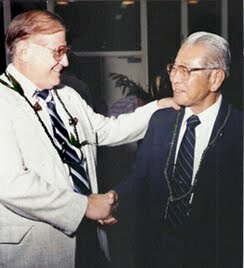 House Speaker Souki and Senator Mamoru Yamasaki enjoyed a great working relationship in the early years. As House Transportation Chair, Joe is submitting legislation for a $4 Billion Highway Modernization Program to build and repair roads, bridges and dams. Maui’s share will generate construction & engineering jobs on the new Lahaina-to-Airport access road and Hana Hwy. to Paia. Joe Souki made it a priority to find $67 million to end teacher furloughs – putting teachers back in the classroom. 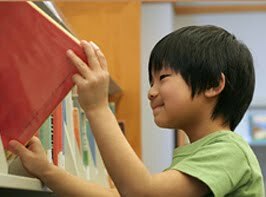 He secured funds for building a new Wailuku Elementary School and extensive improvements for Waihee School. 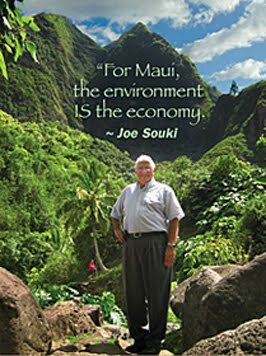 Joe Souki and Sen. Mamoru Yamasaki teamed up to make the West Maui Mountain Partnership possible. 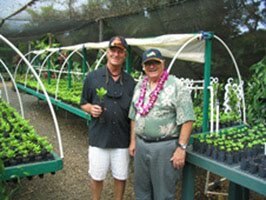 Mike Atherton of Maui Tropical Plantation & Joe Souki believe agriculture is important to Maui's economy. Joe campaigns with his loyal supporters to win his seat in the State House for District 8. © 2014 Joseph M. Souki. Watermark theme. Powered by Blogger.